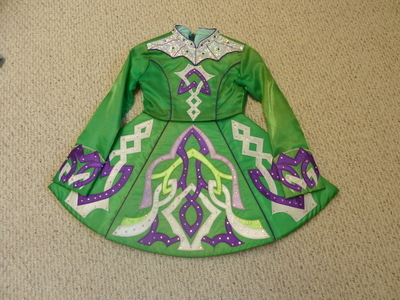 Lightweight, two piece dress is made of fabric which shimmers from Apple Green to Emerald Green with white and dark purple accents. Non-smoking home. Good condition. No makeup stains or odor. 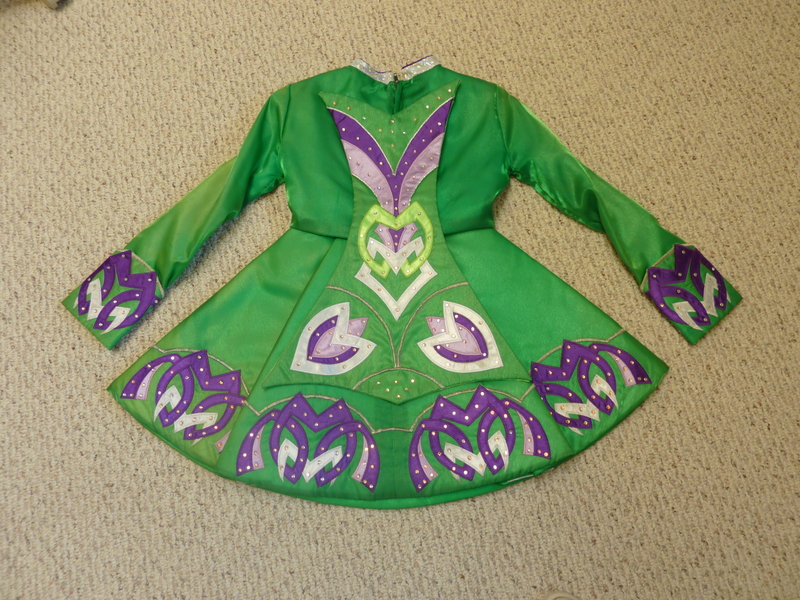 Perfect for Novice dancer. 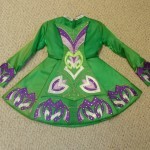 Includes spankies, cloth crown & traditional cape. Also includes extra fabric, good for making updated cape. Has about 1″ of drop in dress shoulder seam & 1/2″ let-out in length of dress jacket.